3. HOMEWORK: Parent/Guardian MUST sign lab safety agreement. It is due the next day I see you! Monday, August 13 - Friday, August 17 . . . Please follow subsitute plans. 2. Go over just exactly where each chemistry class is on the interactive notebooking. 4. HOMEWORK: NONE, unless you have not turned in your lab safety contract. 3. Chemical vs. Physical Change Lab for those who have turned in their lab safety contract. 4. HOMEWORK: Over the weekend, I will post page 1 - 11 of the interactive notebook so that you can double check that your notebook is setup correctly. Remember, it is OK if your pages are off from mine on this first unit. 1. Complete Do Now . . . When you have completed the Do Now, please come and show me your score! 5. Quiz over matter - MOVE this quiz to the start of Wednesday's class. 6. Begin Measurement - MOVE to Wednesday's class. Password: number you use to log onto your computer. NOTE: O.K. Due to Picture Day today, I'm going to have to postpone the first test to NEXT Wednesday. We will finish Wednesday's lesson on Friday AND I will give you the review guide as homework. I dislike giving homework over a break but it is what it is. I'm sorry. 3. HOMEWORK: ​Complete Review Guide for Friday's TEST. This test covers matter and measurement. A comprehensive review guide was given in class. In addition to the paper review guide, I will post a Rose-Prism.org practice test for you to work on. Listed below are even more websites you can use to review for Wednesday's test. 1. Do Now . . . All you have to do is watch this video! 3. Go back to Page 4 and tape in the I Can statements. a. Leave page 18 blank. We will eventually glue/tape in the I Can statements. b. On page 19, make a title page for Unit 3: Atomic Structure and splash some color on it! c. History of Atomic Theory Timeline. - On the upper inside flap, glue/tape the dates in CHRONOLOGICAL order along with the description of each scientist's model of the atom. NOTE: You will need to research each scientist so you know which scientist came first, second, third, and so on. You will need to research each scientists atomic model so you will know where to glue/tape each piece. TEST RETAKES: You may retake this test. I do NOT have a problem with you retaking the test. You will have to do something for me BEFORE I will allow you to retake it. You will need to stop by room 356 TOMORROW to pick up a new review guide. You will need to complete this review guide BEFORE I will allow you to retake it. After you complete the new review guide and give it to me, I will schedule a time for you to retake the test during Enrichment or after school. 1. Complete Atomic Theory Timeline . . . as I shared with you on Wednesday, you will receive 5-minutes to work on the assignment. 2. TED video clip. I will show this video clip during class. 6. HOMEWORK: Complete the PEN Practice Worksheet. Moved to our next class! 7. HOMEWORK #2: If you do NOT have the atomic theory timeline completed, you MUST have it DONE by the start of next class! I will not be able to give you additional time in class to complete this assignment. NOTE: I'm in room 356 for homeroom and enrichment tomorrow! 4. Tape/Glue the I Can Statements for Unit 2 on to page 18 of your science journal. 5. Begin Unit 3: The Periodic Table of Elements. b. On page 29 create a title page with the title "The Periodic Table of Elements". c. Splash some color on page 29. 6. HOMEWORK: FINISH Periodic Table Basics. Follow these directions! You will have to work outside of class to finish this assignment! 1. Complete Do Now. You will need to use your homework assignment from last class. 1. Cancel Do Now . . . We MUST work on electron configurations! 2. 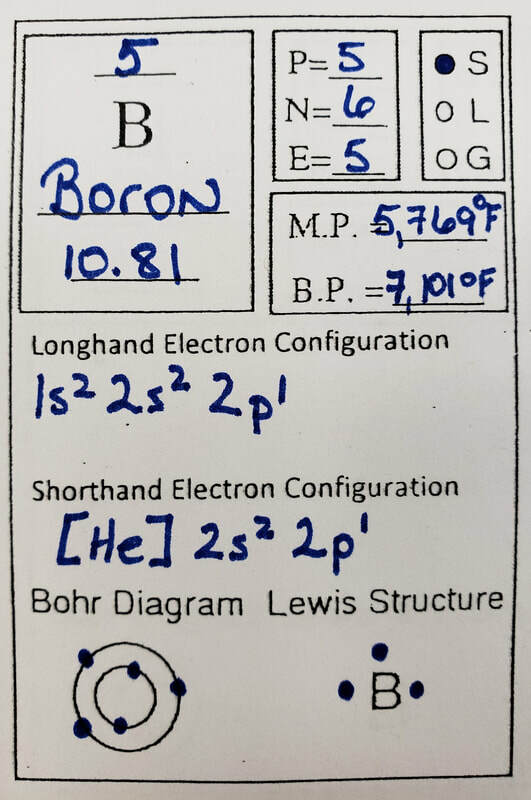 Electron configuration . . . YOU will get this process. Yes, you will! 1. Do Now. . . Quizizz. The game code is 313394.
b. Quizizz. The game code is 986220. This game is going to be posted until 7:30 a.m. on Wednesday, October 3.You may take this as many times as you would like. c. Rose-Prism. Each practice test may be taken up to 5 times. The titles of practice tests are Unit 3: Practice Test A and Unit 3: Practice Test B. 5. HOMEWORK: STUDY! Absolutely STUDY for Wednesday's test. b. Cut out each trading card. c. Store the trading cards in your envelope in the back of your science journal.